Flexible data connectivity solution adds resilience to global tracking application. PodsystemM2M, the expert in connectivity for the M2M and Internet of Things (IoT) industries and UK-based Rewire Security have signed a deal to incorporate global, multi-network SIM cards from PodsystemM2M into Rewire tracking devices, which include some of the smallest trackers in the world. 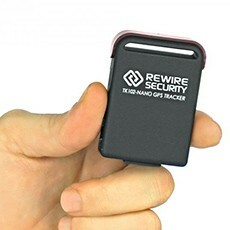 In addition to this tiny device, Rewire offers a range of tracking devices for every purpose, including rugged devices for covert use, hard-wired trackers for vehicle security and fleet management systems that can provide driver identification and driver behaviour monitoring using a 3D accelerometer. The use of PodsystemM2M’s data connectivity solution adds an extra layer of reliability to the range of tracking devices supplied by Rewire Security. The SIM cards connect to multiple networks in each country according to the best signal available on device start-up. Thereafter they swap networks if signal is lost as devices move around. The use of multiple independent networks on the same SIM means that connectivity can be backed up and data re-routed through a completely separate infrastructure in the case of technical issues on the network. “Our IoT connectivity solution has been designed to ensure extra resilience especially for remote, roaming and mission critical applications. This ensures that Rewire Security’s tracking devices which are in constant motion or roaming across borders remain connected, even in remote areas.